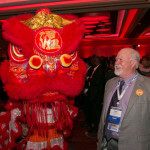 Don McMillan boasts a resume that stands out even among the talented, experienced group of speakers and presenters at the ASCE 2015 Convention. He has a master’s degree from Stanford in electrical engineering; he worked for AT&T Bell Laboratories; spent six years as a chip designer in Silicon Valley. All impressive, but here’s where it truly gets unique: Star Search champion; appearances on The Tonight Show, MTV, CNN, A&E; movie roles; television guest spots on Star Trek: Voyager, Step By Step, and Babylon 5. 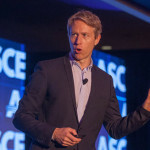 McMillan has carved out an interesting – and very successful – niche for himself as an engineer-comedian, and he brings his witty, insightful take on the world to the ASCE 2015 Convention as the closing keynote speaker, Wednesday, Oct. 14, in New York City.